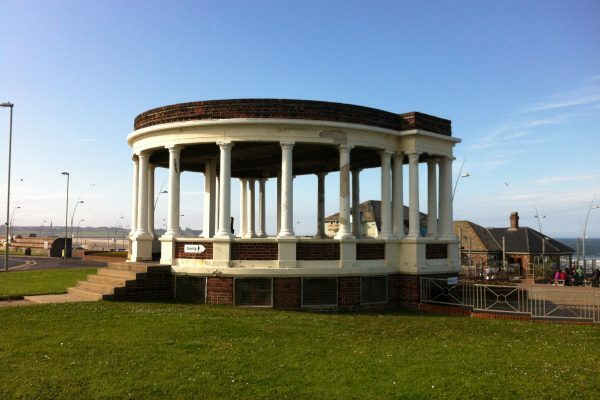 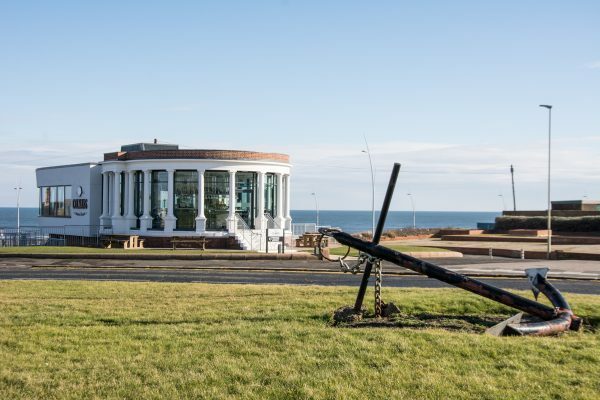 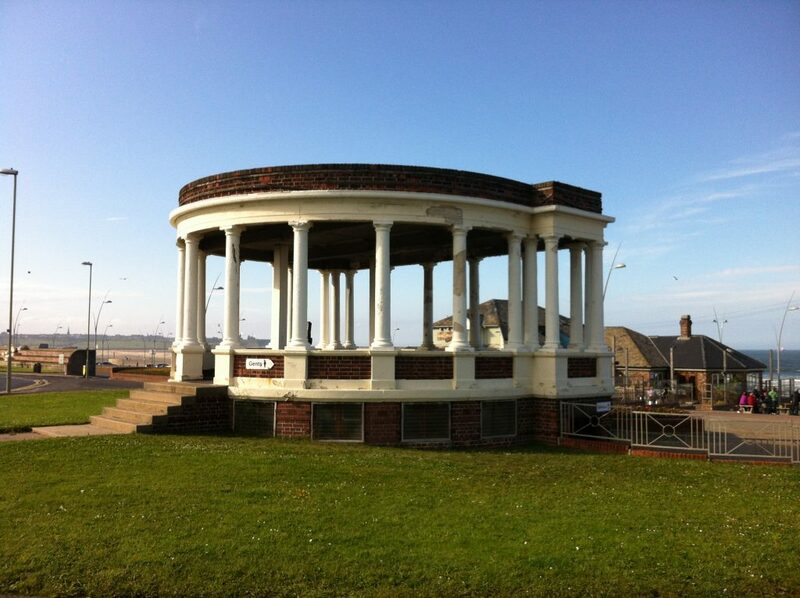 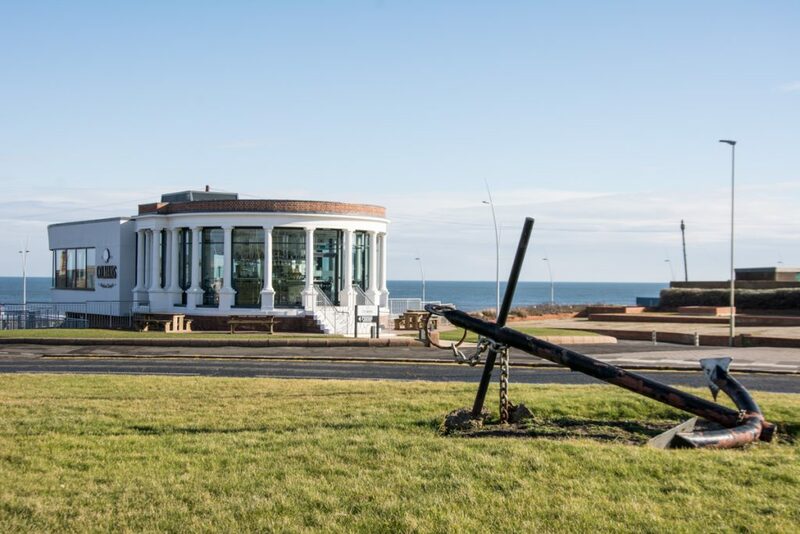 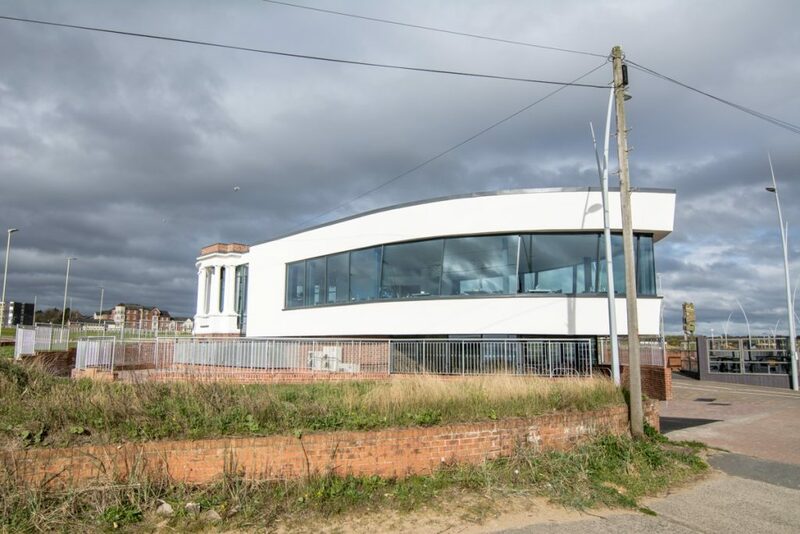 The dilapidated, original structure was restored and extended to create a new seafood restaurant and a landmark building. 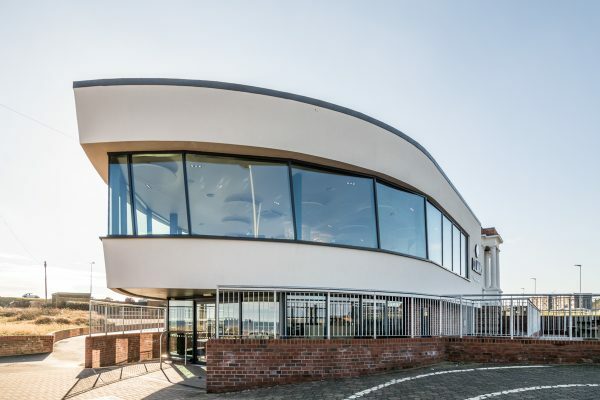 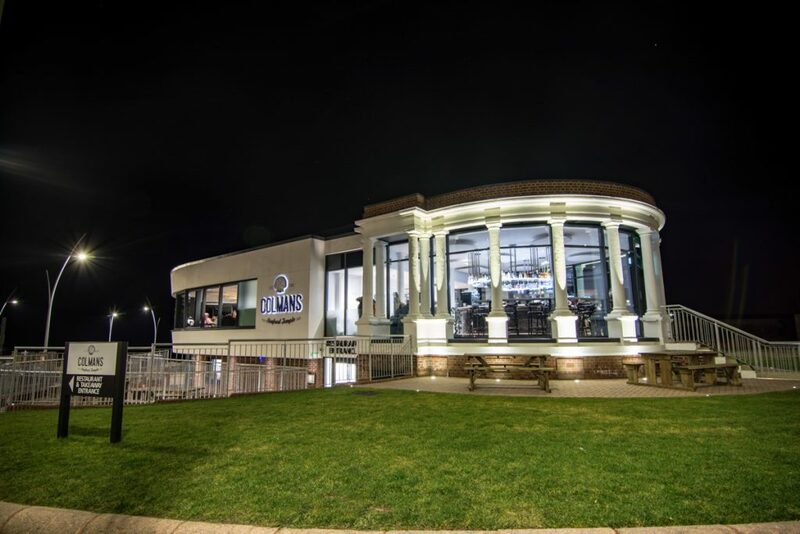 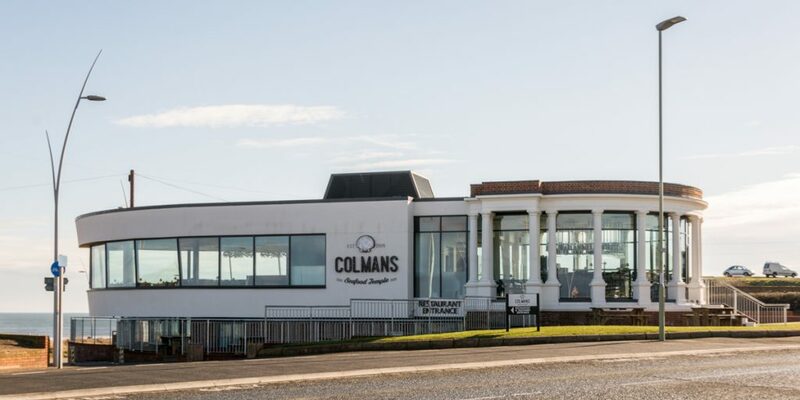 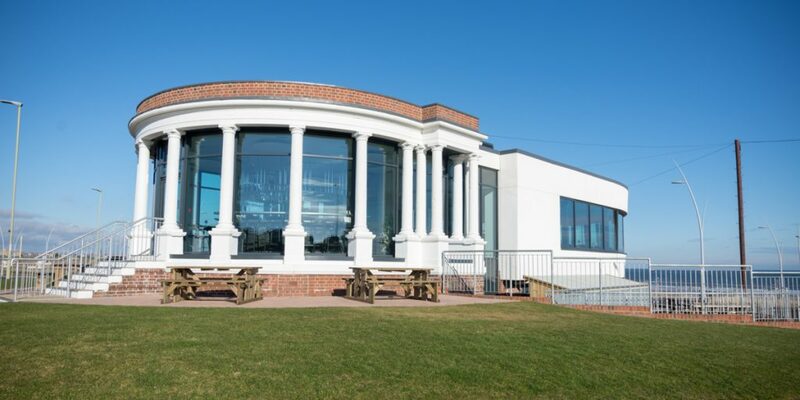 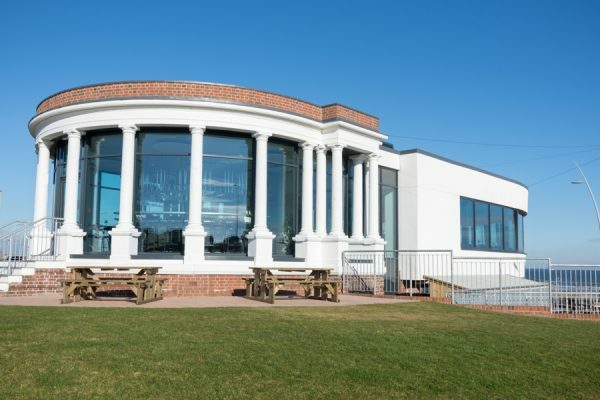 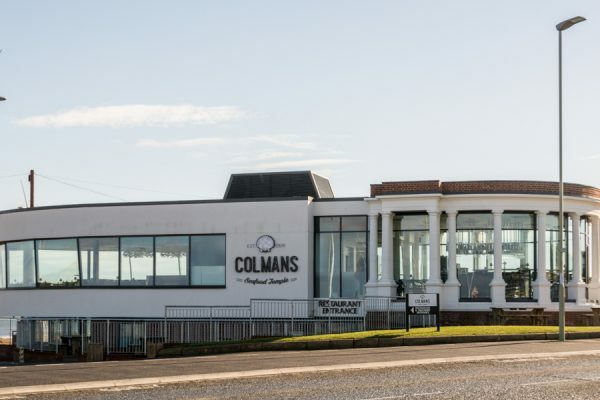 A new glass wall sits inside the original columns to form a unique, panoramic bar and the new glazed extension forms a restaurant with fantastic views over the beach and beyond. The structure curves to a point to allow views of the sea from all around the building.